The dances and sets of variations published in this volume come from the Codice Saldivar, a manuscript that was discovered by Mexican musicologist Dr. Gabriel Saldivar y Silva in Leon in 1943. Although the title page of the manuscript is missing, with other evidence, we can assume with great certainty that it is the work of Santiago de Murcia. 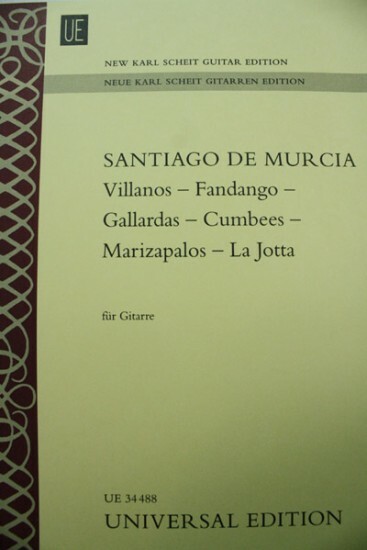 This collection demonstrates de Murcia’s interest in a wide range of music for guitar and like many other Spanish composers, the inspiration he found in the new sounds and rhythms brought home by Spanish seafarers. The result is a rich and colorful feast of baroque guitar repertoire. For advanced players.